In the 70s, the women’s movement was sometimes portrayed as militant and aggressive. Feminists were rallying around the slogan “the personal is political,” which asserted that the personal experiences of women were rooted in political and gender inequality. 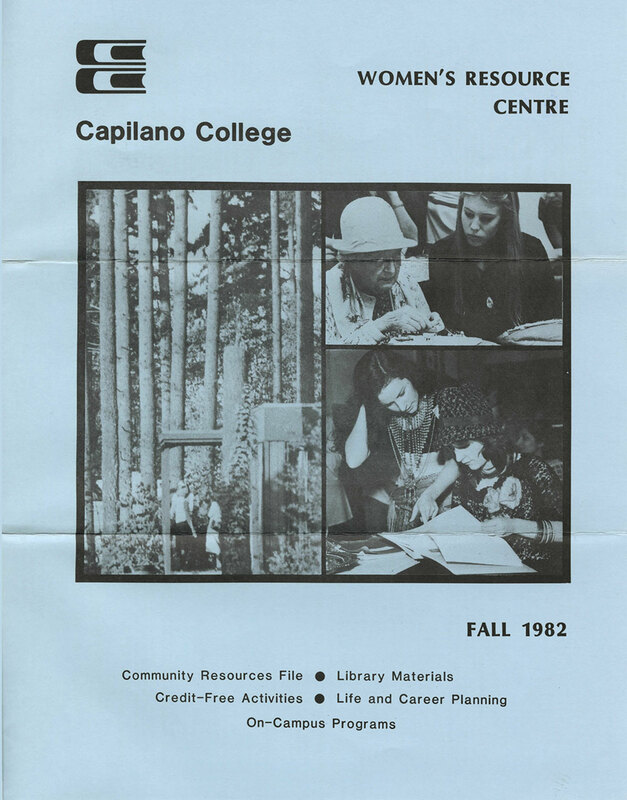 Founded in the fall of 1973 at the College’s then-Lynnmour campus in North Vancouver, the Women’s Studies program started as a non-credit lecture series. The initiative was organized by the Women’s Steering committee, made up of faculty, staff, students and four North Shore community members. While the program was designed to reach out to women of all ages and economic circumstances, at first it typically attracted educated middle and upper class women. 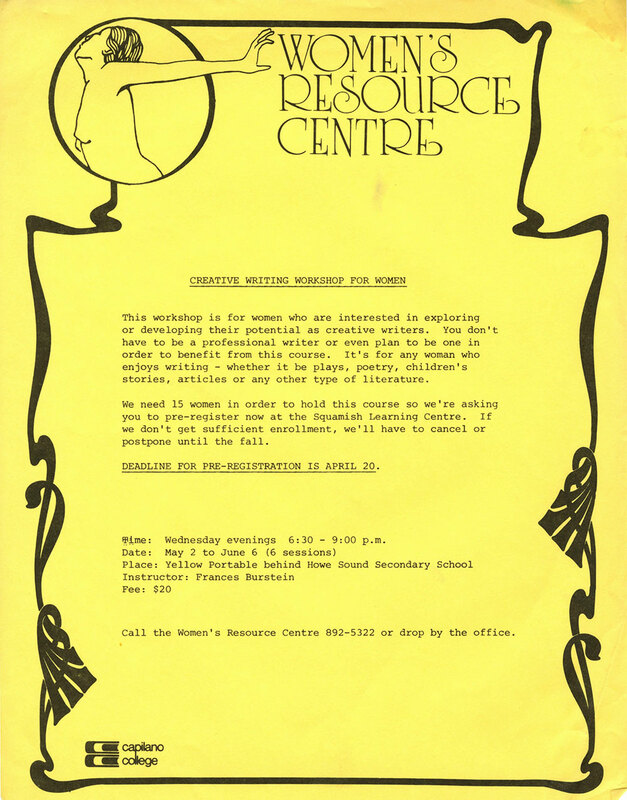 Subsequently, a Women’s Resource Centre was established on campus to help serve women in need such as single parents, widows and women on welfare. Today, the University offers a wide range of support services for all students. The Women’s Collective, led by the Women Students Liaison at the Capilano Students’ Union, meet regularly to organize and attend events focused on women’s equality. 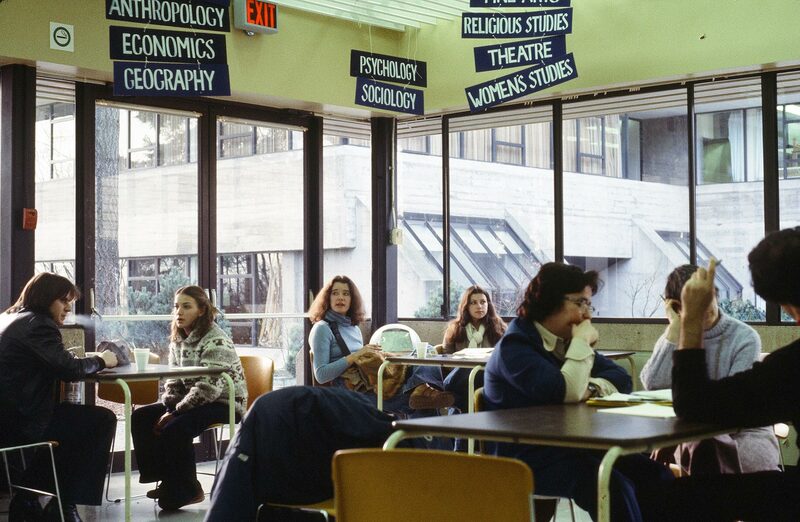 On the academic side, the Women’s and Gender Studies department offers a wide range of courses such as the Psychology of Women and Gender; Women and the Law; Women, Art and Gender; and Women, Science and Technology.